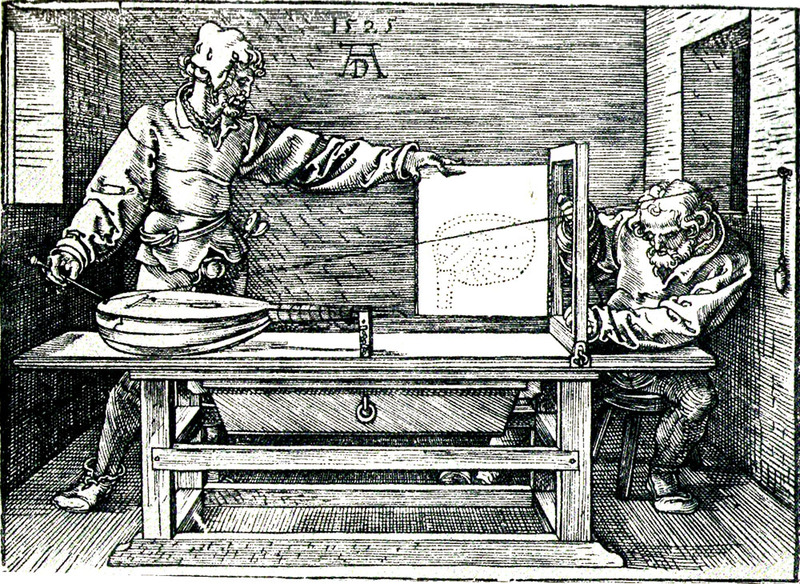 In my post IMPOSING THE GRID, I mentioned the Renaissance invention of Drawing Engines, grids of wire or string used by artists to observe and analyze their subject in order to render them more accurately. 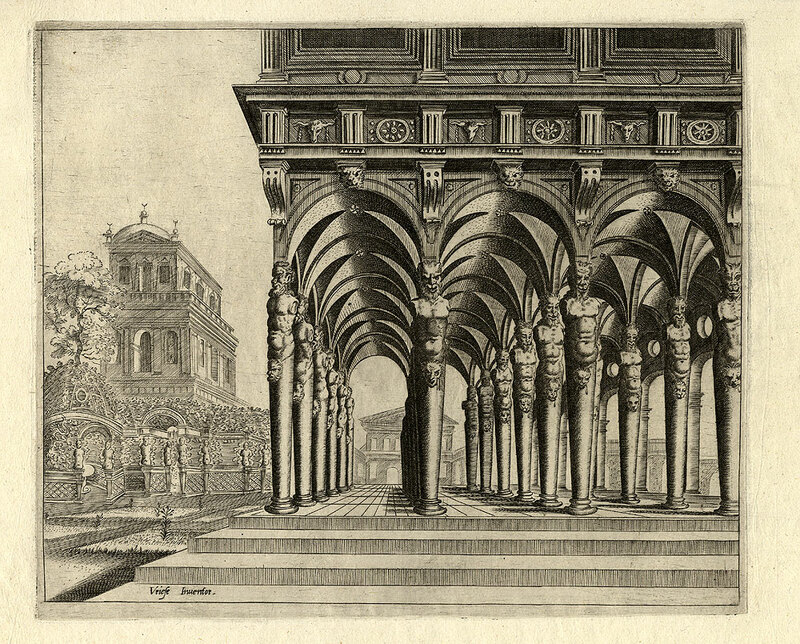 This came into use around the same time as modern Linear Perspective, as pioneered by Brunelleschi. 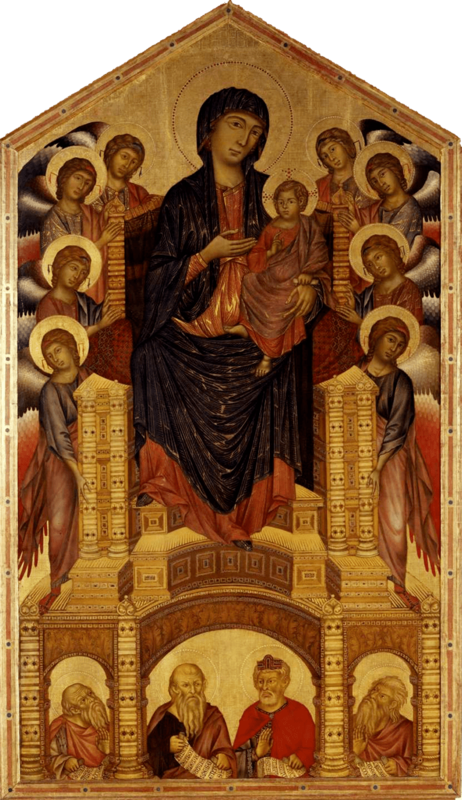 It’s often mistakenly talked about as an “Innovation” of the Renaissance. 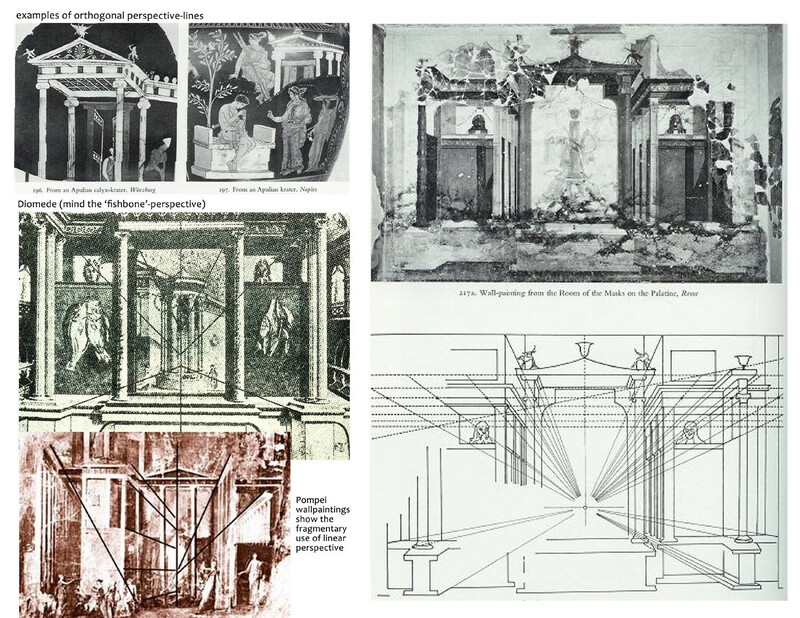 But in fact it was a rediscovery, based on insights derived from an Arabic text by Alhazen on optics, and the concept of linear perspective was clearly used by the Ancient Romans, along with orthogonal and symbolic systems similar to Byzantine and Egyptian art. 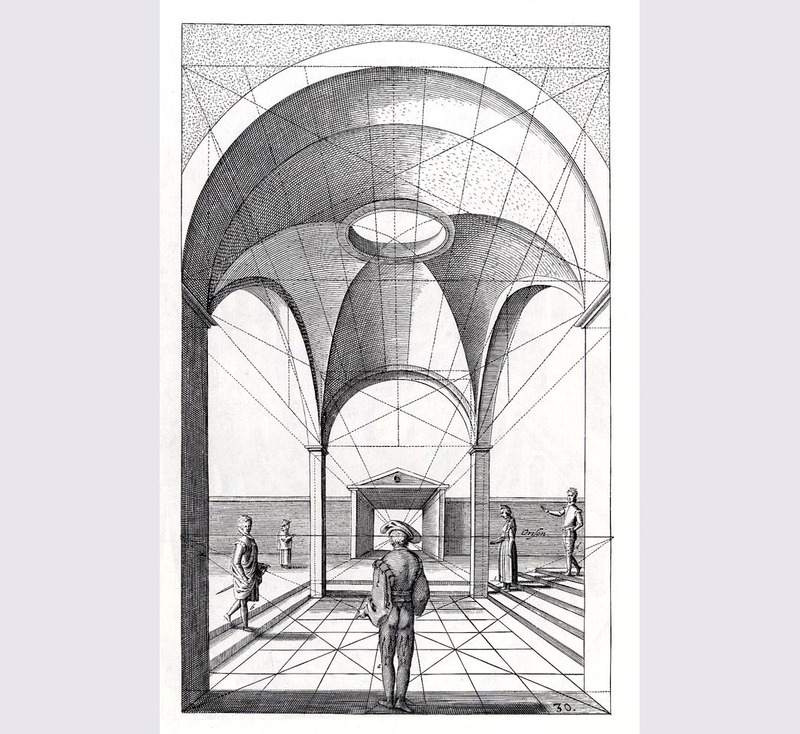 At the time western artists started to adopt new ideas about how optics worked, and looking through their Drawing Engines [or Albertian Veils] suggested mathematical ways one could measure out what they thought was perfect optical perspective. What came out of this was a new system, which gave results truly amazing to the eyes of its time. It’s a technique that still impresses today. 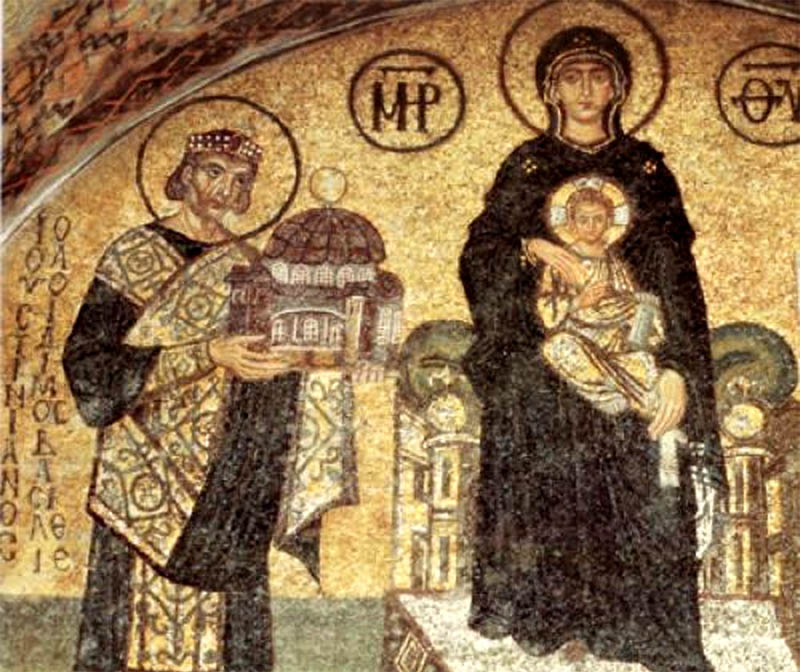 As I have come to understand it Byzantine art that came before had ideas about perspective too: Rather than being optical it was about symbolic significance. Centered not on a vanishing point in the picture plane but instead on the viewer. Important people were larger than unimportant people. 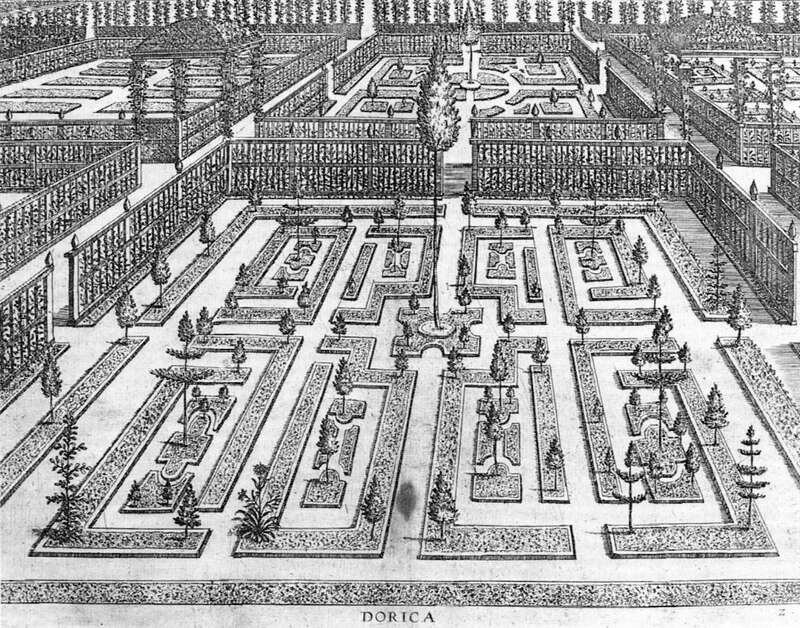 Buildings were often smaller than royalty. And god was always a giant. People and structures were angled towards where the artist expected an audience to stand. Attempting to rise towards them out of the picture plane rather than recede back into the space it framed, emulating relief sculpture. 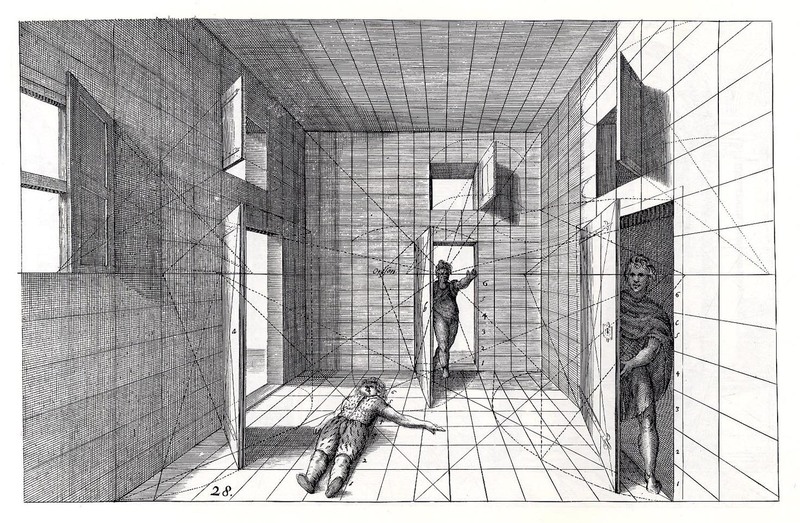 With the introduction of linear perspective artists began to switch from images dominated by symbolic representations, to those that looked more and more like what people saw around them, enhanced and idealized. They moved deeper into imagined spaces inside the picture plane, making it a window into a world. Rather than attempting to build one out away from the picture plane into our own. It was as though someone had bought them a new visual thesaurus. Invented a new dialect of art. One that we would strive to master until the invention of the Camera. An early painting that employed the technique was this rendering of an ideal city square by Piero della Francesca in 1470. 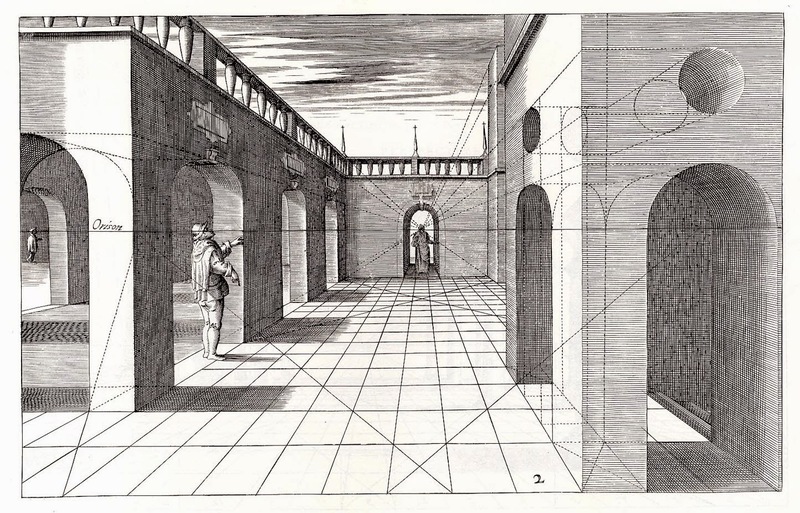 The reinvention of single point perspective, for the next couple of hundred years we would seek to build on the utility of mathematically precise linear perspective, or as I often call it optical perspective. It can give impressive results. I went to great lengths myself when I was first starting out to use it. I’d draw full grids for my shots, trying to get everything just right. Learning to understand the basic principles is more than worthwhile. But i also often found the results disappointing. A common problem is compressing your vanishing points. 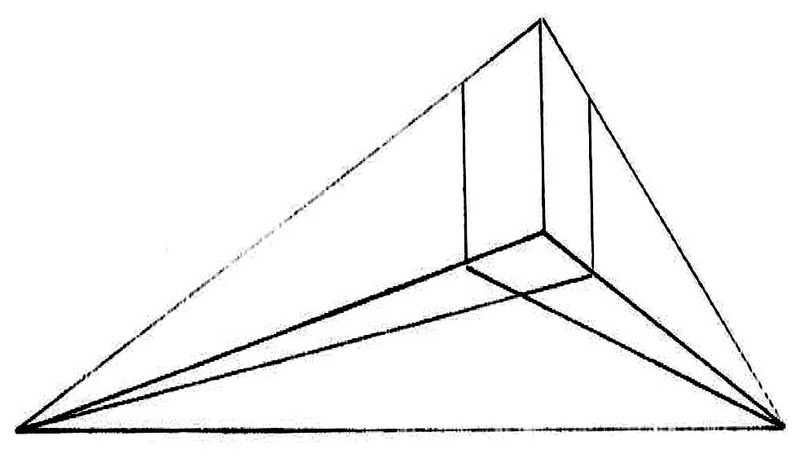 In the case of an object with a right angle corner like a cube. If you can see the vanishing point for one side, in order to see any other in the frame you have to distort the angels, like a wide-angle camera lenses. And to really correctly map the way we see the world, you often can’t just use Single, or Two, or even Three point perspective. It takes Five! What you say is 5 point perspective? Or point mean for that matter?! Ok, Getting ahead of the game. 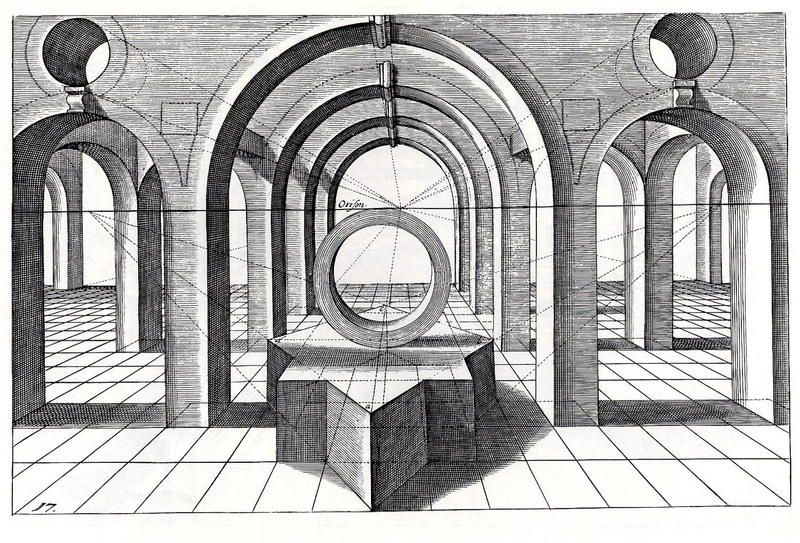 Here’s a basic explanation of how linear perspective works. First look out over an open space. 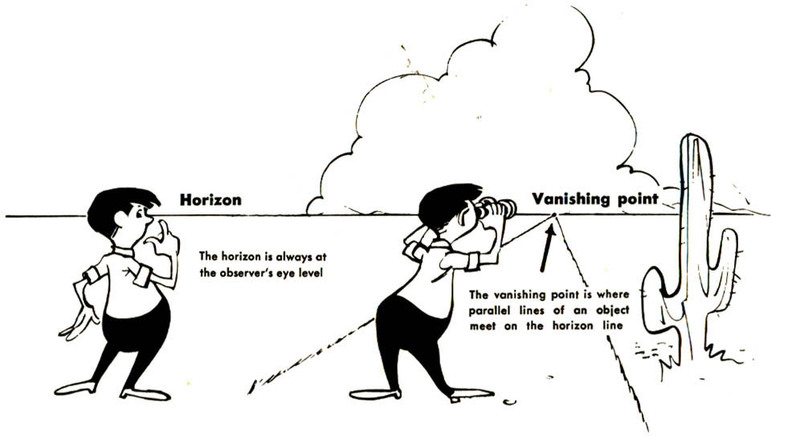 The Horizon plays a central role in linear perspective. Three of the baseline points in Five Point Perspective live on it, like points on a compass. “Point” in this case refers to the phenomenon that if we draw two parallel lines for as far as we can see, while they may never actually meet, standing at one end of them a human looking to the other end will perceive them as coming together at a point on the horizon, before vanishing. The parallel leading edges of anything we look at along it’s length, will appear to do this. Even if it’s not towards the horizon. But anything sitting on the ground, typically will do this in the direction of the horizon, away from us. We call that, a Vanishing Point. The number of Vanishing Points the system is using is where we get Single, Two Point, Three, or Four, or Five. In Three or more, we add the vanishing points directly over, and under us. You seldom see Six Point, that’s including the one behind us outside of our visible field of view. But truthfully you don’t have to always get nearly that complicated. You can do a lot with humble Single Point perspective. Just watch this clip of Kubrick single point shots! In order to create a convincing and consistent illusion of depth, just remember that all your objects need to respect and conform to logical vanishing points. Or, at least appear to? 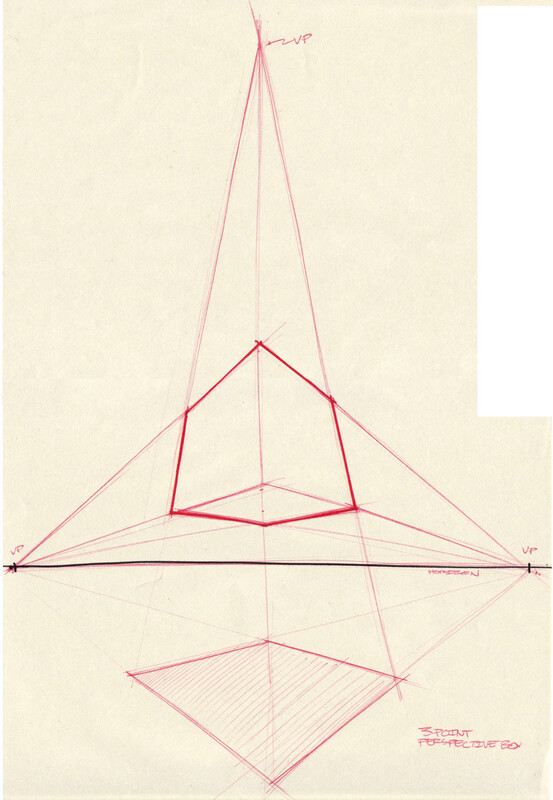 THE FALLACY OF PERFECTION: Often when we watch demonstrations of how to draw perspective it’s done with rulers. This is logical, it was invented as a mathematical and exacting tool. And it’s good practice to try doing it “properly” at first this way just to get the experience. For a great deal of art though a freehand and loose application of perspective can give much better results esthetically. A problem rulers introduce is their rigidity. One ruled line on a page can make every other line look “wrong” unless it adheres to it. This compels the artist to over render, leading to stiffer lines and art. So while I do recommend a full and in-depth study of perspective, when you are applying it to a drawing, I encourage you to practice rendering it freehand. This clip on how one-point linear perspective works by the Khan Academy does a good job of explaining the core components. 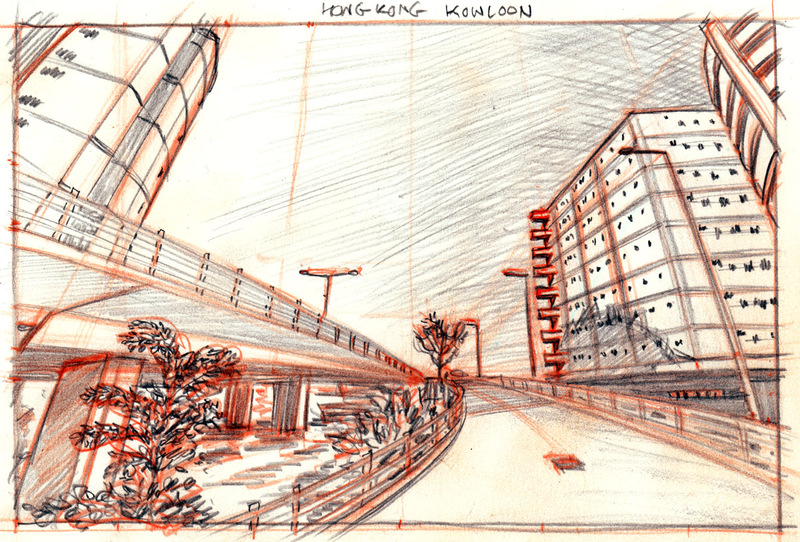 You’ll also find a fantastic free guide here, by Urban Sketcher Paul Heaston. 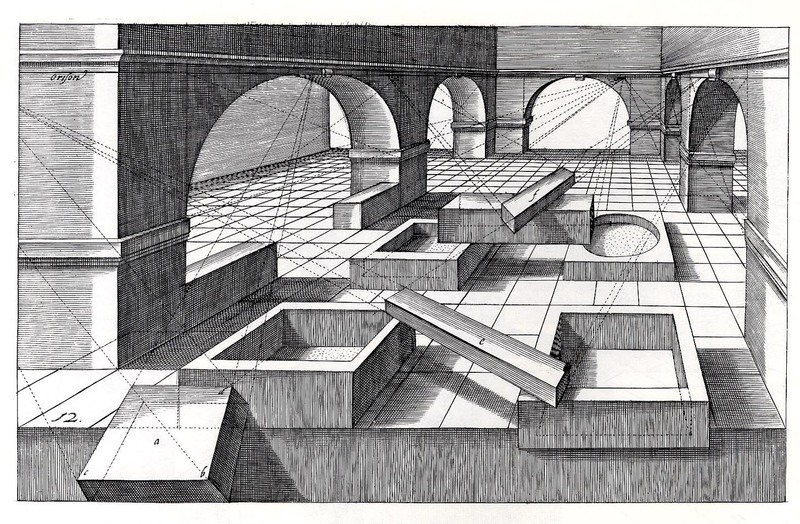 The Khan Academy clip demonstrates single point perspective in drawing the room, and shows one application of two point perspective in measuring the size of receding objects. But most of the world involves things that don’t just relate to us in space, neatly laying along the ground. Things raise up into the air, and drop down away from us as well. The can run at an odd angle relative to our point of view in literally in 360 degrees, along at least three axis! 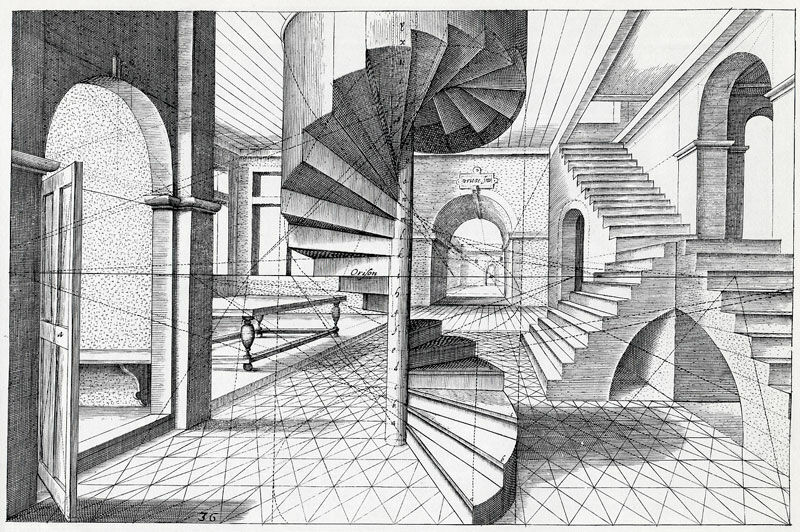 To depict that we add vanishing points over and under us, leading us to three and four point perspective. This next clip by manga artist Mark Crilley demonstrates well how to execute three point perspective and I like that he talks about distortion caused by crowding your vanishing points. This is a really important concept to pay attention too! Read this Q & A post, and this excellent tutorial, to learn more about it. And take note in the clip as well, when Mark talks about how to use perspective to draw an organic figure in the space. Three point perspective is often enough to capture how things look, but if you want a wider angle of view, especially if you want to emulate intentionally, the kind of depth of field and angles found in images made with a wide angle lens, then you need to think at least about a fourth, and even fifth. 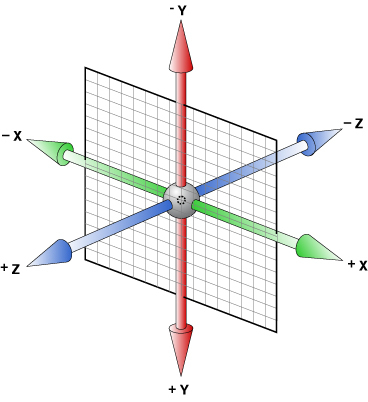 Recall the spherical grid I posted earlier? 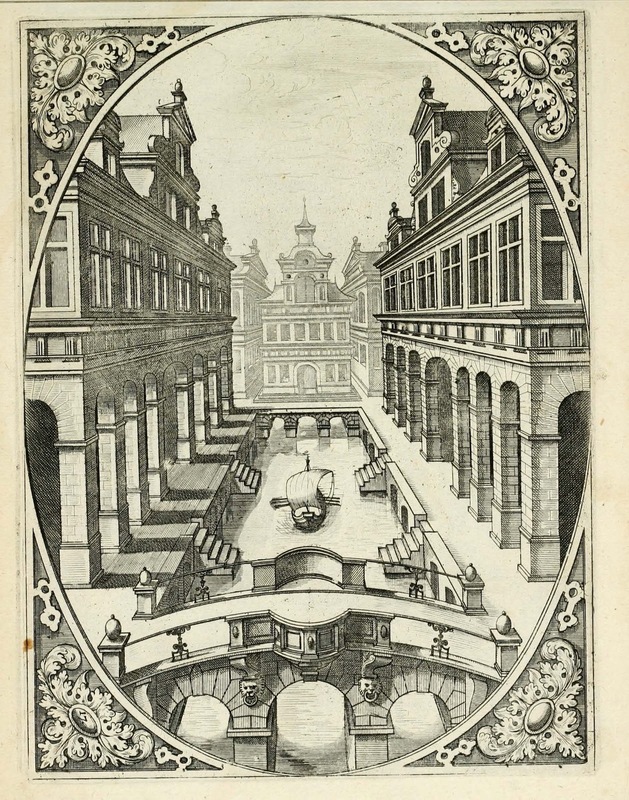 Drawing with four or five point perspective is sometimes called Curvilinear perspective. As Mark mentioned in his clip if you have more than one vanishing point inside the framed picture plane you get lots of distortion. And when there are four or five vanishing points the forms become very spherical looking even when they don’t all fall in the frame. 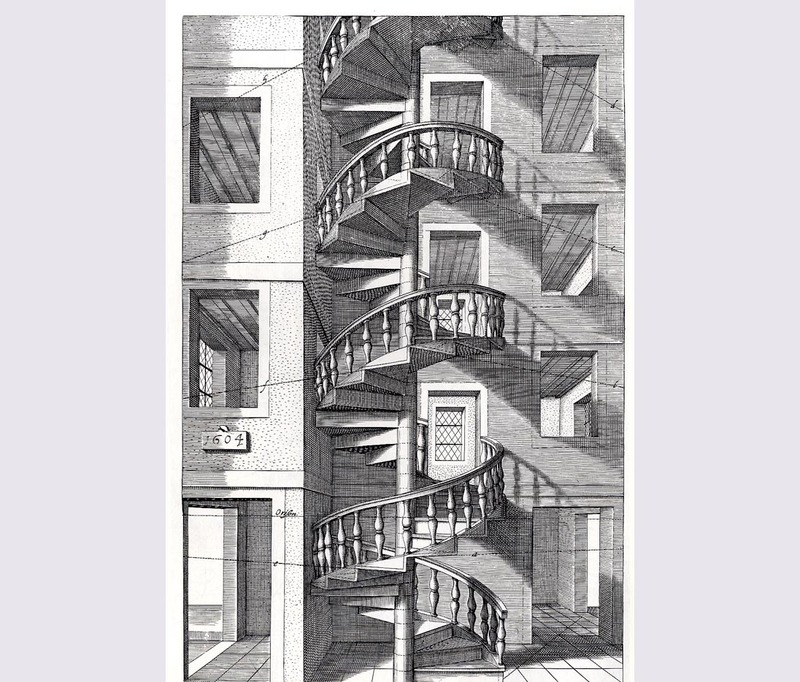 However, what we experience from our eye is functionally five point Curvilinear perspective. With one in front of us on the horizon, one at each side, and one below and above. So why don’t we see the world distorted? Because we live in our sight, not standing back from it. This photo roughly simulates the width of human sight, it crops the top and bottom a bit but it gives us an idea of how we really see. But we don’t experience vision like this. Between the curved shape of the retina, and the work our brain does, we experienced an un-distorted perception of our environment that seems to just sort of, fade off. We seldom even think about the edges of our vision as a thing. In real life ours falls somewhat short of where we would see the perimeters of a full Curvilinear Sphere. 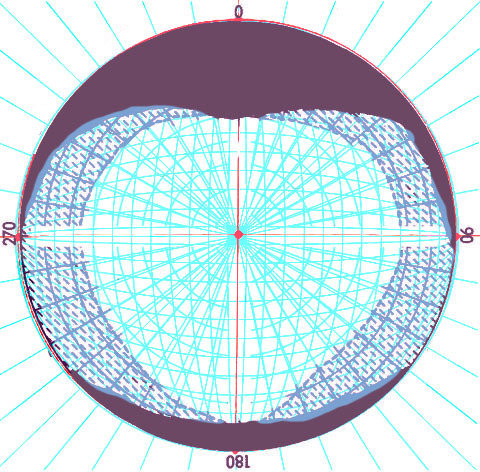 This diagram shows what we can see of one. Apply the things found here and demonstrated in class, to doing the exercises below, and read next on free-handed and perceptual applications of an organic form of curvilinear perspective I call Bifocal Perceptual Curvilinear Perspective. Pattern exercises to train for freehand perspective work. The kind of control doing pattern exercises is good for is very applicable to being better at drawing freehand perspective. In Dynamic Drawing I stress the importance of learning and practicing linear perspective, and more advanced forms beyond single point including my own spin on it all that I call Bifocal Perceptual Curvilinear Perspective. But drawing it using rulers tends to lend itself for a stiffness, and Bifocal Perceptual Curvilinear Perspective is impossible in practical terms to render with ruled lines on the go when sketching. It’s an big task even at my desk to do. Be it on the go or on the job, learning to be able to see the angles of perspective in your mind’s eye, and freehand draw the various forms without a lot of ruler use, is a must have skill set. This means training up three key skill areas as I see it. ~ Your gestural line and fast freehand work will help in keeping the forms smooth and graceful. ~ Informing your eye, learning to actively see, study your surrounding, and observe as much as you draw while doing life studies. ~ Exploring different kinds of line and forms, and doing pattern and control exercises, gives you a greater ability to place a line where you want it, intuitively feel out angels, keep better control over proportions. These are the keys along with understanding the underlying structural principles of perspective, to drawing with it well. To that end, one the right is an example of a practice sheet geared for developing your perspective abilities. Copy it directly the first time, but feel free to adapt it to other patterns and forms to up your game in repeated attempts. Brownie points: After you nail the ellipses in perspective, aside from doing different angles of them, try doing it with something else, more complicated? 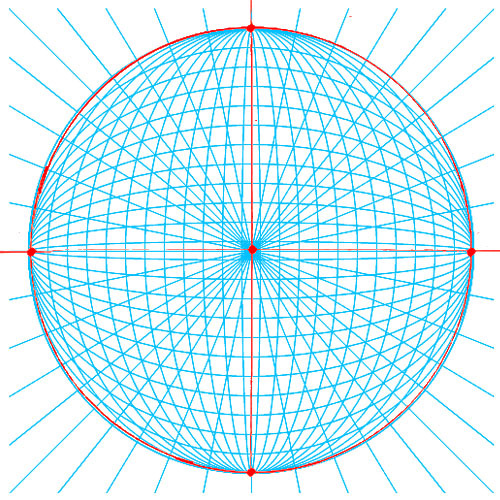 The top row: Use grid intersections as fixed vanishing points. 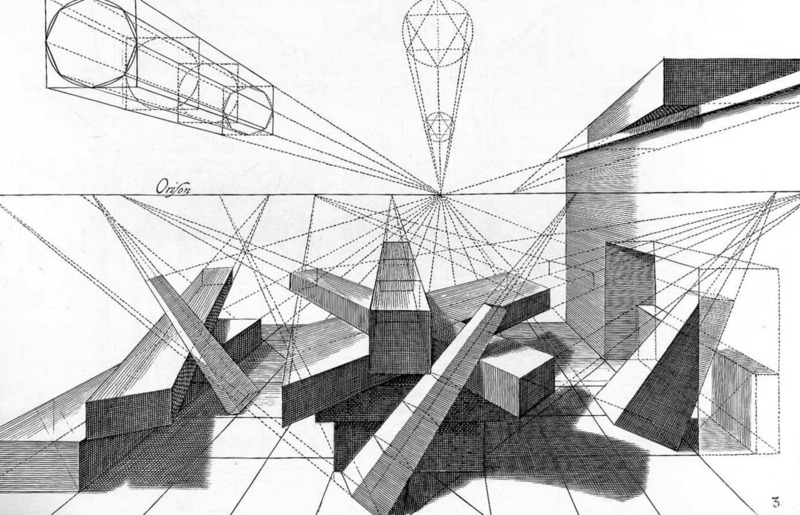 draw a 2d form, and then extruded it into two or three point perspective shapes. Stacking repeating forms or trying to build up more complicated ones is a good way to expand your skills. Don’t be afraid to as I did with the race car in the top right of the frame. 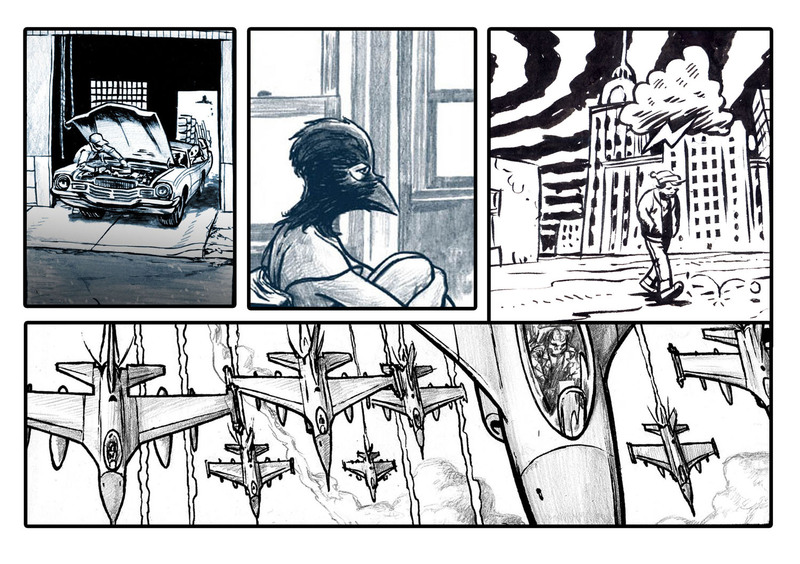 You can see from the sketched in guidelines, I attempted to extrapolate to an unmarked vanishing point off the page. Rotating and object like the race car is a good way to test and exercise your ability to freehand in either an aesthetically pleasing, or very realistic way. But don’t try to do it with a race car right away. First start with an ellipse, at an angle, and then extrapolate it out to a rod, as I did next to the race car. Then find it’s center, and rotate it at least once, if not multiple times. Sketching in the new potions over the old one. Don’t erase anything, you want to be able to see the lines doing this to better estimate the changes you’re making. 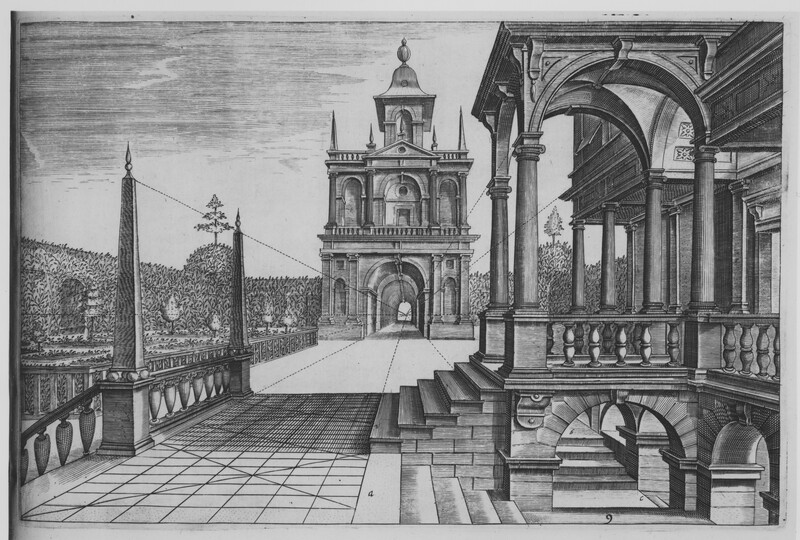 Below on the Left: Freehand ellipses drawing, carefully rendered to get progressively larger, in a stepped pattern, to induce the illusion of perspective. On the Right: simple diagonal lines, filled in using a stepping technique we’ll cover how to do these for best results in class. And in the Middle, using the same kind of stepping technique, but adding an angle to the second line, and mirroring for the third. And then filling in the rest in the same stepped pattern used for the bottom right pattern. These should both help with the kind of rendering control regular pattern practices do, but also help you see how the non radiating lines make a flat surface we can see as being on a 45 ish degree angle – as with Isometric Perspective. The radial lines suggest a vanishing point a foot or more off the page I was drawing them on, and are good angles to try to memorize for when we draw things like the planes attacking in this image. 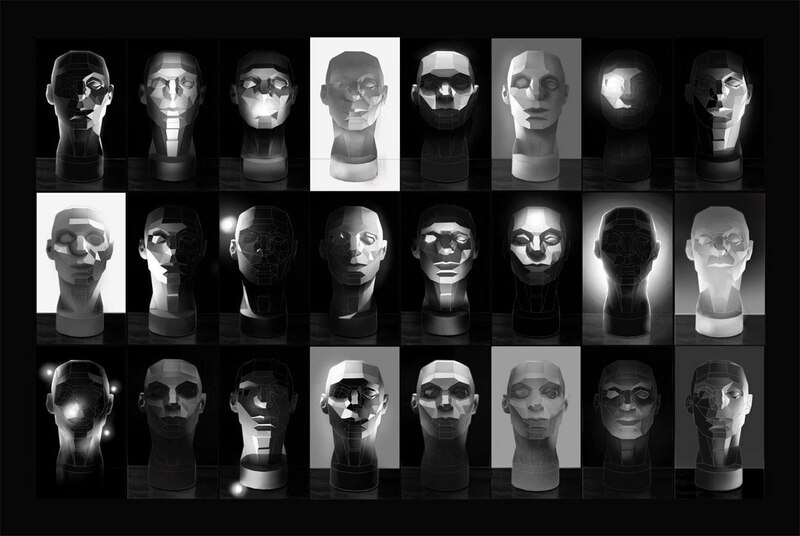 Brownie points: Once you’ve made your 3D cubes and Thor’s Hammer, try to “skin” them with patterns you’ve been practicing laid over the surface of the objects in 3D, using value and lighting! Here’s a realistic image of a wood cube for example done in time lapse. Youtuber Alphonso Dunn has a great series of clips on this. Watch this, and this and this, and this, for some ideas of how to integrate pattern exercises with perspective practice to make both more fun, and learn to integrate them convincingly to suit your style. 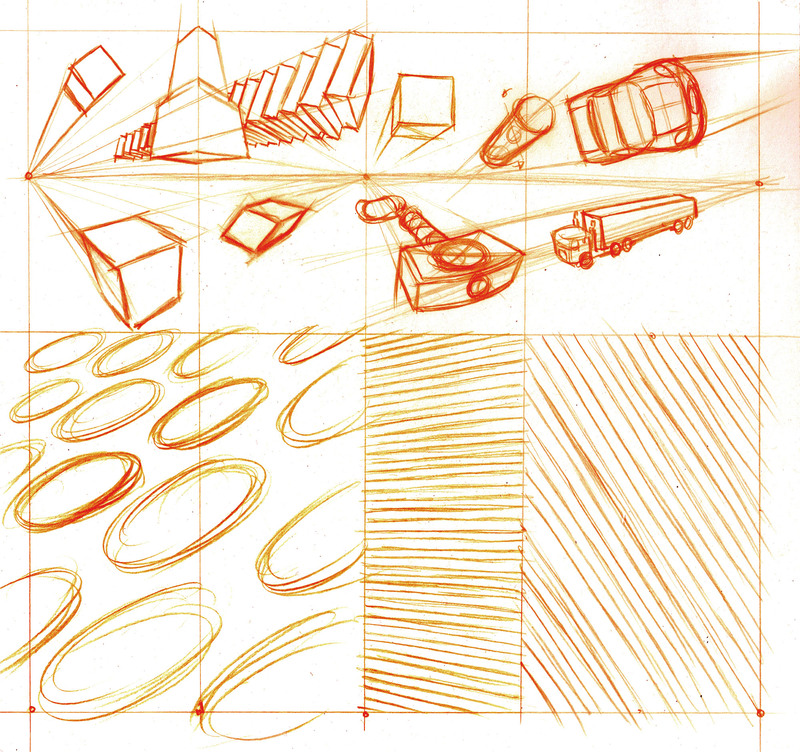 Up top, some sketching of forms and common objects in two or three point perspective. Down below pattern work meant to help develop your hand eye coordination in seeing/feeling the angels and proportions. This borrows from Virtual Plein Air, you can do it out in the real world too of course, but there’s some advantages to using a 2d projection on a flat screen when it comes to eyeballing the geometry of a liner perspective drawing. Practice finding the horizon line and building strong liner perspective landscapes. City scapes are particularly good for this. Try sketching this russian view! Find the horizon, make sure to match your drawing area frame to the proportions, the aspect ratio, of your screen/visible area. The aspect ration and framing generally, is really important! If you make it more square or wide than it is, too tall, it’ll tend to distort the results. 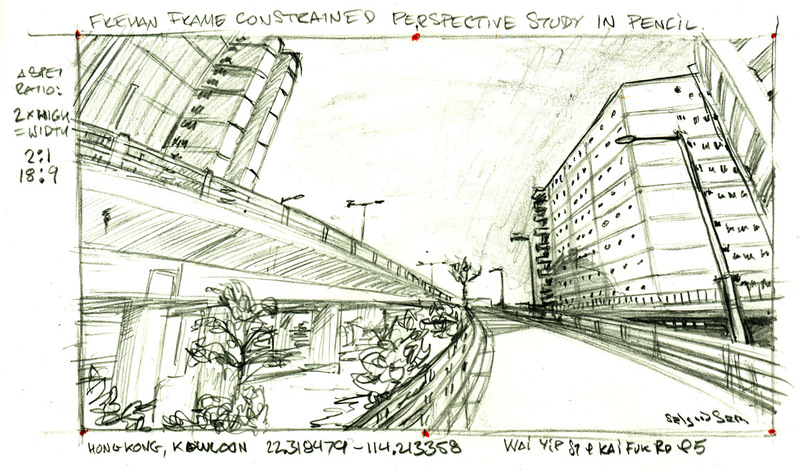 If drawing from life, you’ll need to use landmarks in your field of view. TIP: I made the embeds, 2:1 (18:9). That’s exactly twice as wide as it is tall. But they may be different if you go full screen. But you’re computer will know what your screen aspect ratio is! Once you have the horizon in place, lightly sketch in a simple wireframe model like version of the buildings you see. Don’t forget to watch Mark Crilley’s embedded clip, he walks you through what I mean by wireframe nicely. This one is in Hong Kong! Here’s one I did from near that location, don’t hesitate to go looking for another angle! If felt I got it a bit more off than I’d like, had straitened out some of the verticals more than I want. And I wanted to record the work for my students. it’s always good to do these a few times, you figure out a lot more by the second and third pass. This is a screen grab from my tablet, what I was looking at for refrence the second time. with lots of notes on the process as we go in it. This one, the Red Fort in New Delhi. Tip, to find the horizon line, find where all the leading edges running parallel and away from us, point, intersect. The horizon line can often be seen in the row of brick, at eye level. The only level lines in the walls you’ll see. All lines about, point down towards it. All below up to it. Use that to triangulate it, when it’s obscured by buildings! Tip: to find the horizon line, find where all the leading edges running parallel and away from us, point! The places they intersect will plot out the horizon, the same way building them from scratch is worked out from it the other way!. Tip: The horizon line can often be seen in the row of bricks, running at eye/your/camera level! The only level lines in the walls you see. You’ll find that illustrated often in the following images. 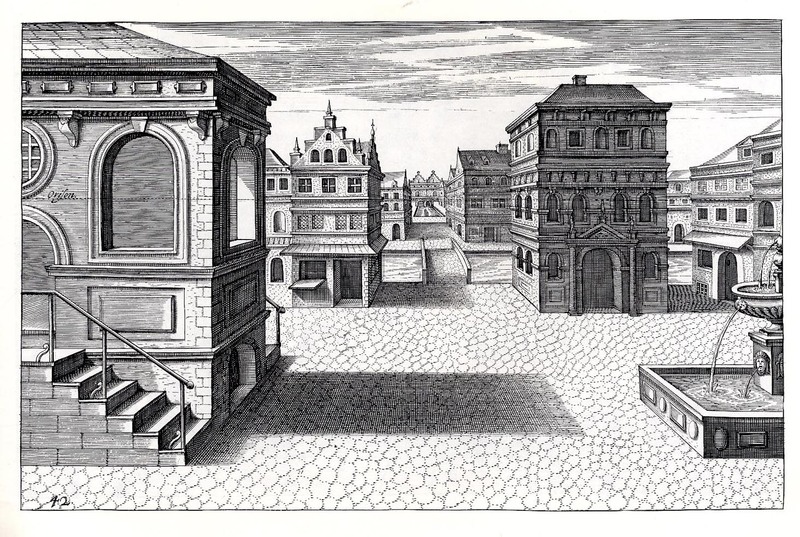 These are a set of classical instructional perspective drawings, giving elaborate directions on how to draw certain shapes. They have the horizon line and vanishing lines all marked out. Start with the first, and copy as MANY as you can! Note: there are follies in some of these, objects drawn incorrectly. As well as distortions caused by only using vanishing points that live on the horizon. Look for those and make note of them! Maybe even try to ‘fix’ them if you can by adding a heavenly and earths core residing pair of vanishing points, directly above and below the camera, as you find in 5 point perspective. But make sure neither are inside the shot when we’re looking at the horizon, unless you want to get a fishbowl like distortion effect. Note the distortion in the squares on the floor? It makes the doors, swing too shallow! There are three follies! Which blocks do not belong!? Can you find the Folly? There’s at least one. Note how each step has it’s own vanishing point along the horizon. How would doing this in 5 point change the look of the shot? 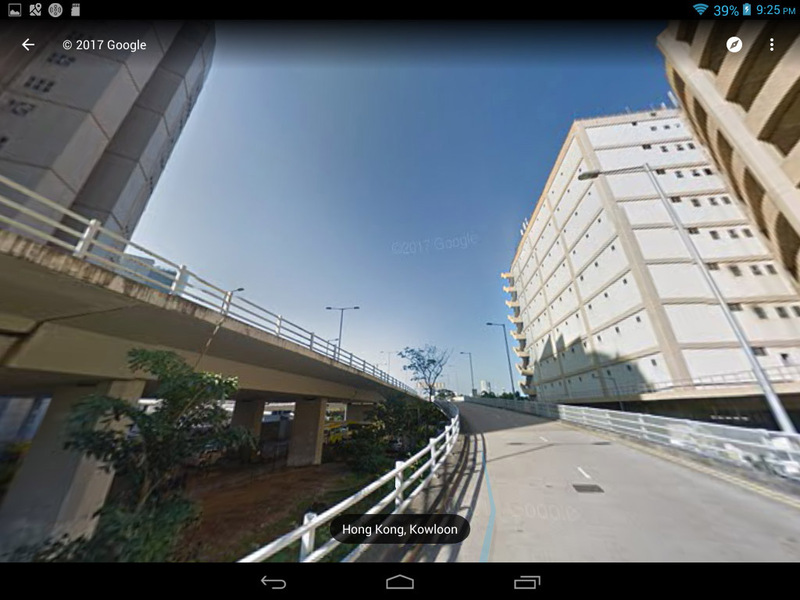 23/10/2013 | Filed under Class Blogg, Class Resources and tagged with composition, perspective, practice.